With much fanfare, “Harmony,” the new musical by Barry Manilow and Bruce Sussman has opened at the Ahmanson Theater. A long-held dream by its creators, it offers up charm and history, pathos and laughter, and a lesson we should have all been aware of, about a group of men who broke barriers just before that became impossible. And it works, with one moderately irritating exception. The story is incredible and, allowing for a bit of artistic license, true. It concerns the Comedian Harmonists, a group of six close-harmony singers who took Germany, then Europe, and then the US by storm in the 1920s and 30s. The composition of the group was eclectic in many ways, including the fact it had both Jewish (including a former rabbi) and non-Jewish members. Their style was a combination of the close-harmony jazz which grew out of barbershop, the like of which one hears in early film recordings, combined with the silliness of the Marx Brothers. Their art was amazing, including their political satire, and they were as wildly popular in their day as the Beatles were in their own. Then the Nazis rose to power, and even their popularity could not save them from the consequences. Sussman’s book handles the necessarily episodic tale with enough flow to make it seem like one story instead of a series of vignettes. Even as you pop from place to place and time to time, you get to care a good deal about the six men and the women who loved them. Director Tony Speciale has gathered a cast of fine comedic and musical talent, and the result is a treat to watch. It’s a visual treat too, as Darrel Maloney’s projections onto Tobin Ost’s angular period-evocative sets and costumes pull you into place and time. 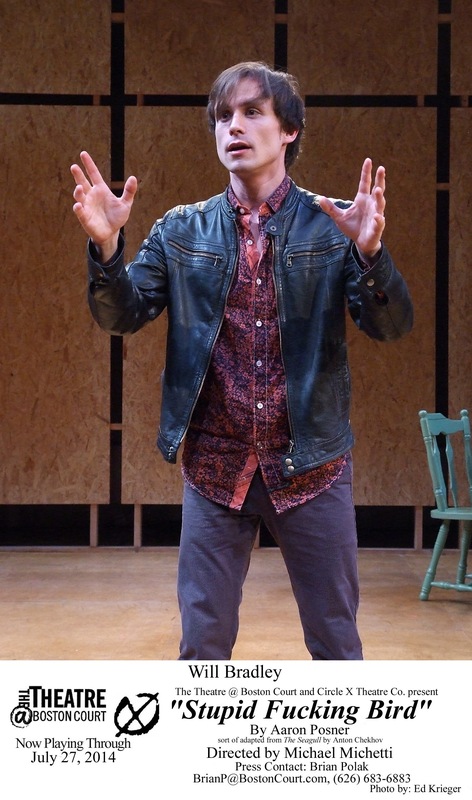 Matt Bailey is unemployed actor Harry Frommerman, the group’s optimistic and energetic founder, who placed an ad in the paper inviting others to join his group. Will Taylor is “Chopin” Bootz, his co-founder and the group’s talented pianist, whose love for a Jewish radical gets him into trouble at the end. Will Blum has a particularly silly time creating Bulgarian singing waiter Ari Leshnikoff, while Chris Dwan gives voice to Erich Collin, the medical student disappointing his upper crust Jewish family by going on the stage. Douglas Williams oozes profundity as operatic bass Bobby Biberti, and Shayne Kennon pretty much owns the stage as Josef Cykowsky, the Polish former rabbi whose story centers the tale. All these men sing, ham it up and connect with each other with a special kind of energy which makes the show work. Indeed, the whole enterprise is a visual treat. Manilow’s music includes perhaps one or two too many angsty show-stoppers, but they are done very well, and the richly evocative “Where You Go”, sung by Leigh Ann Larkin as Cykowsky’s supportive, converted German wife and Hannah Corneau as Bootz’s more angry one, is a highlight worth seeing the show for. As for the performance pieces the Harmonists sing as a group, it is there that trouble follows. They sing them with great art, and sometimes great intentional silliness, but the style they are given is not quite the style that made the Comedian Harmonists famous. In a recent interview, Manilow said he needed to adjust the kind of music they were singing, as the original seemed too close to the music behind Mickey Mouse cartoons. And therein lies the rub. One cannot escape the fact that the kind of music early animated films used was recordings of the popular song styles of the day – a sound similar to the Harmonists. To dismiss that sound is to dismiss what The Comedian Harmonists actually were (go listen on YouTube). Instead, in “Harmony” they sound at times like artificially antiquated Manilow. That’s not a bad sound, but it is not the Harmonists’ sound. Still, and despite this distracting element, the story remains compelling. The choreography by JoAnn M. Hunter is goofy and creative, and the harmony on stage and in song that these characters achieve is impressive. In an era when the memory of that generation is fading, and the witnesses are mostly gone, it is also a uniquely personal look at what the Nazis did to German art and culture. Imagine what would have been, if the creative heart of that generation had not been declared degenerate. As a side note, today in Germany the Comedian Harmonists’ records and films are considered treasures. Time tells. Back in the early 1980s, I was substituting in a local high school when a young lady I knew dashed in. “I have five minutes before my next class. Can you explain ‘Waiting for Godot’ to me?” I can tell that story in almost any company and have people laugh. Even those who don’t know “Waiting for Godot” know enough about it to consider the question ridiculous. Indeed, playwright Samuel Beckett, in keeping with the absurdism which crept into theater with this play, absolutely refused to do any explaining of the thing himself. 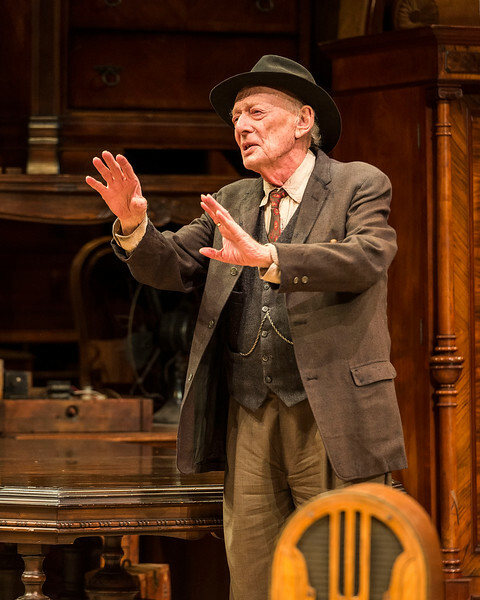 The play is, essentially, about waiting – a waiting where, as the first line pronounces, “Nothing can be done.” Often times, this becomes a tedious exercise in that process, but not at the Mark Taper Forum. There an exquisite production elevates the play to something like a wry dream – an essential look at human character, and the elemental humor and pathos of existence. 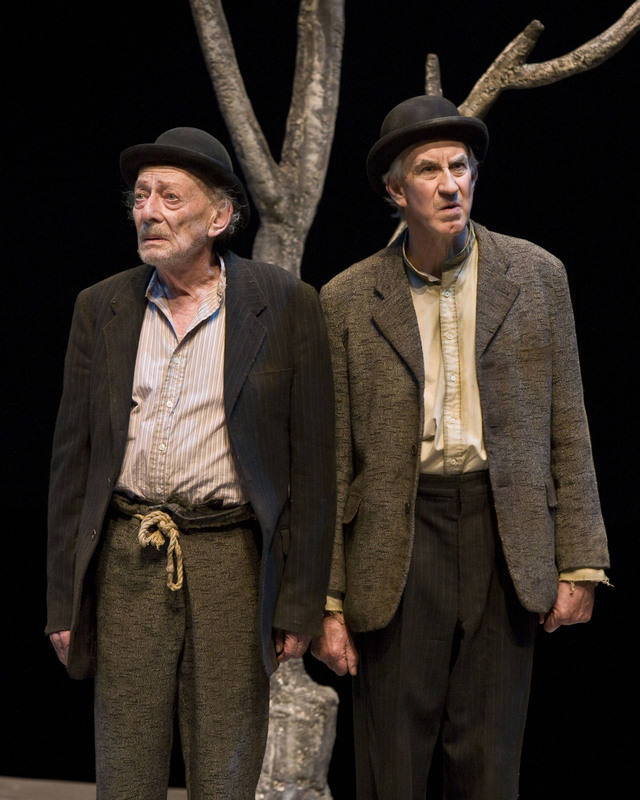 Central to this success are the duo of Alan Mandell and Barry McGovern, whose connection as the waiting men Estragon and Vladimir becomes a living thing. Their constant intertwining of line, of mood and even of whimsy gives an energy to the piece. This, in turn, keeps one connected to character and content in a play which has lots of both in place of a plot. The tale, such as it is, is of two men – longtime wanderers – who have been told they must wait for the arrival of a man named Godot in a rather bleak spot on the landscape. So, they wait. Each day, as it ends, a boy (LJ Benet) arrives to say Godot will come tomorrow without fail. It is a fool’s waiting, but it is required, and so this is what the men do. The owner of the land harumphs by, accompanied by a nearly animalistic slave. Still, the men wait. Hugo Armstrong’s beastly, inarticulate and beleaguered Lucky and James Cromwell’s worldly and pompous Pozzo add to the mood and tone with a fascinating and disturbing physicality. Still it is Mandell’s sighing, fatalistic Estragon and McGovern’s negotiating, honor-bound Vladimir who make the piece as compelling as it is. The tight and active direction of Michael Arabian keeps the thing from devolving, as it sometimes has, into a kind of costumed panel discussion. That vitality proves key. So does the absolutely remarkable, Dadaist set by John Iacovelli and by Brian Gale, whose projections and lighting effects tie in with the set itself brilliantly. Indeed, be sure you are seated early enough to see the Dali-like shadows which play upon the backdrop before the show begins. It sets just the tone necessary to start sweeping the audience into the mood. I will admit leaving the theater gleeful. This production is what I always hoped “Waiting for Godot” could be. One thinks of those exceptional plays and playwrights who have arrived since (Suzan-Lori Parks and her Pulitzer Prize-winning “Top Dog/Underdog” come particularly to mind) and been given permission to have characters exist and be explorable, rather than having to live inside a story line. The legacy of this play cannot be overstated. It is a delight to go back and see, in such a powerful production, that initial inspiration. As for the student who asked me to explain the unexplainable in five minutes, so long ago? The answer was – obviously – no. I have no idea how the essay she was supposed to write in her next class came out, but she was furious at not having a definitive answer. Don’t expect one from me now, either. That’s for you to explore for yourself, after you go see this particularly articulate incarnation of the thing. And you should go. It would be difficult to find a better rendition. When “God of Carnage” made its west coast debut at the Ahmanson Theatre last year it was an instant hit. Still it’s popularity was, for me, somewhat of a head-scratcher. 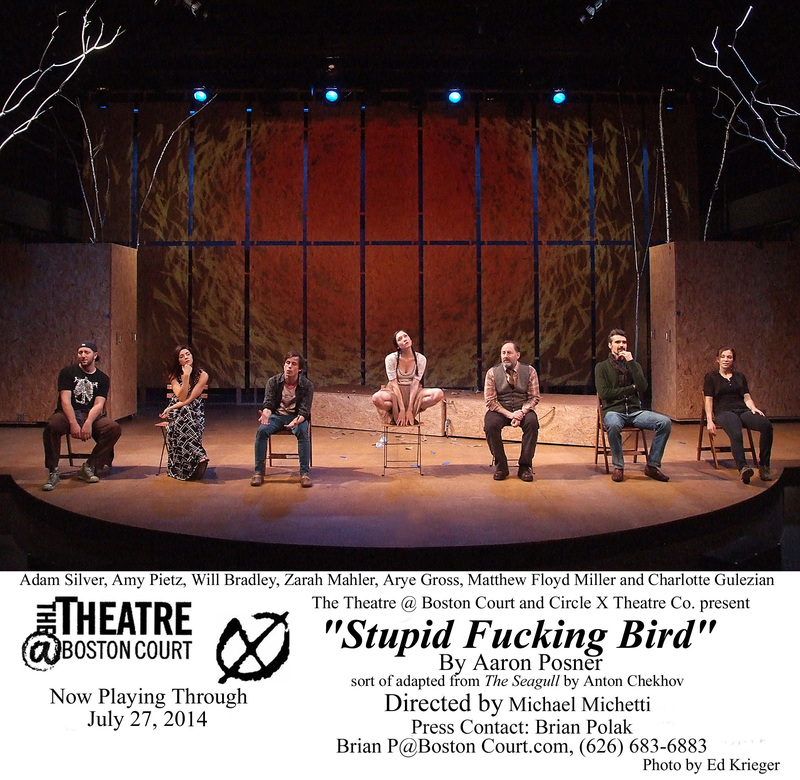 The play’s use of the interactions of two couples as condemnation of societal norms was so ferocious that, taken at least at face value it seemed to do little other than pound one over the head with the rather basic message that we’re all really selfish animals. Its humor seemed aimed at making the audience confirm we find vicious brutality funny. 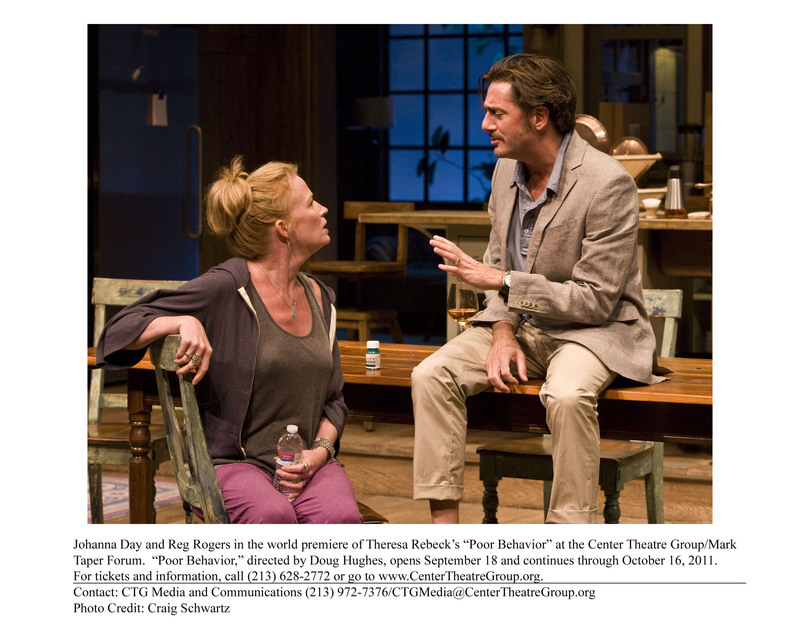 Fast forward to today, and the Mark Taper Forum’s offering of Theresa Rebeck’s “Poor Behavior.” Once again two couples’ interactions make social commentary, but this time it’s all more subtle. In the steam of manipulation, suspicion, madness and sensual despair one’s views of the participants change constantly. As characters play mind games on each other, the often very, very funny script plays the same unpredictable games on the viewer. It’s so much more exciting, so much more nuanced, and what brutality surfaces proves frankly so much more intellectually satisfying this way. In this tale Ella (Johanna Day) and Peter (Christopher Evan Welch) have invited their oldest friends, Ian (Reg Rogers) and Maureen (Sharon Lawrence) to spend the weekend with them in their upstate cottage. The “success” of this venture is evident from the outset. The opening scene has Ella and Ian engaged in a heated, multi-level ethical argument fueled by a great deal too much wine. From this evolves the heightened atmosphere of what is gradually revealed to be a complicated interrelationship. The edge never leaves, though one approaches it from several angles. Questions abound. Ian is a narcissist, but how much of his action is manipulation and how much a desperate attempt to move forward? Is Ella and Peter’s gentle, settled marriage really as stable as offered? Are Maureen’s sudden shifts a matter of subject-changing or instability? What does all of this say about the nature of friendship, of monogamy, and of the vagaries of maturity? Day creates the connective tissue, as a woman caught in in the headlights, in an unfair and untenable position. Rogers vibrates with, among other things, a self-protective intellectual pose that can’t help but be maddening. 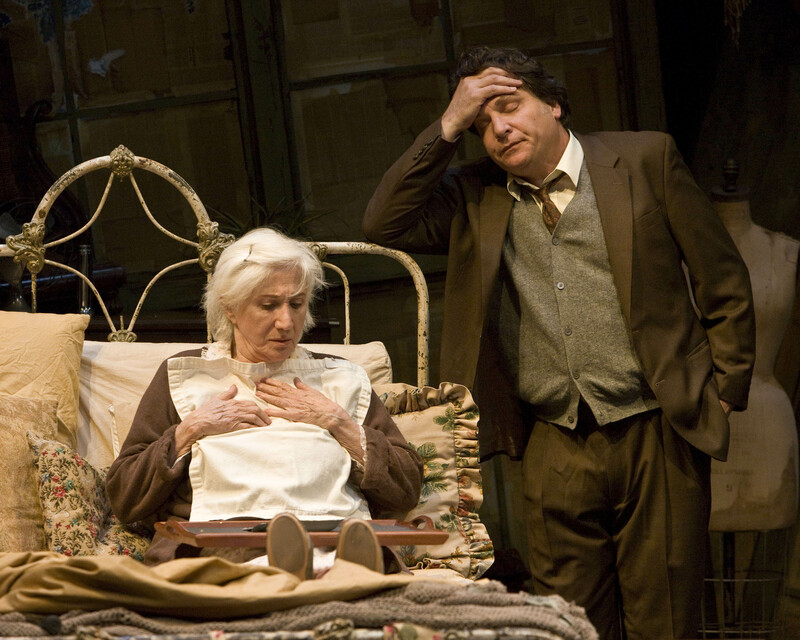 Lawrence’s fine tuning of Maureen’s sudden emotional shifts gives her funny ravings a darker undertone. 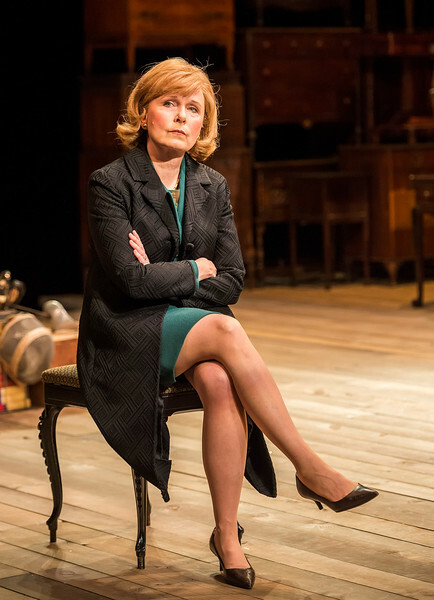 Welch provides the foundation, neatly underplaying his character’s obvious emotional turmoil in order to maintain order. 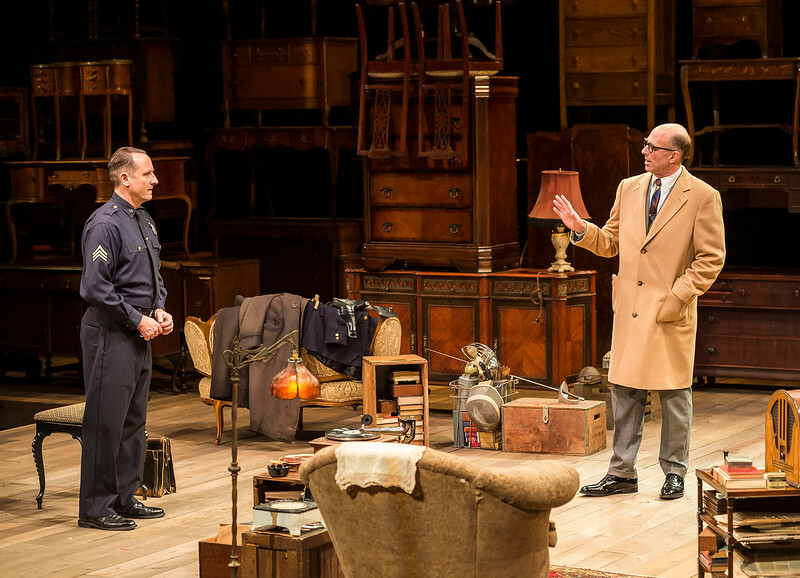 Director Doug Hughes interweaves the threads of this play like the sophisticated tapestry it should be. Every character has been peeled down to its core, and the very real-ness of people speaking this artful speech and wrapping around each other’s lives makes the humor, the pathos and the depth accessible and engaging. 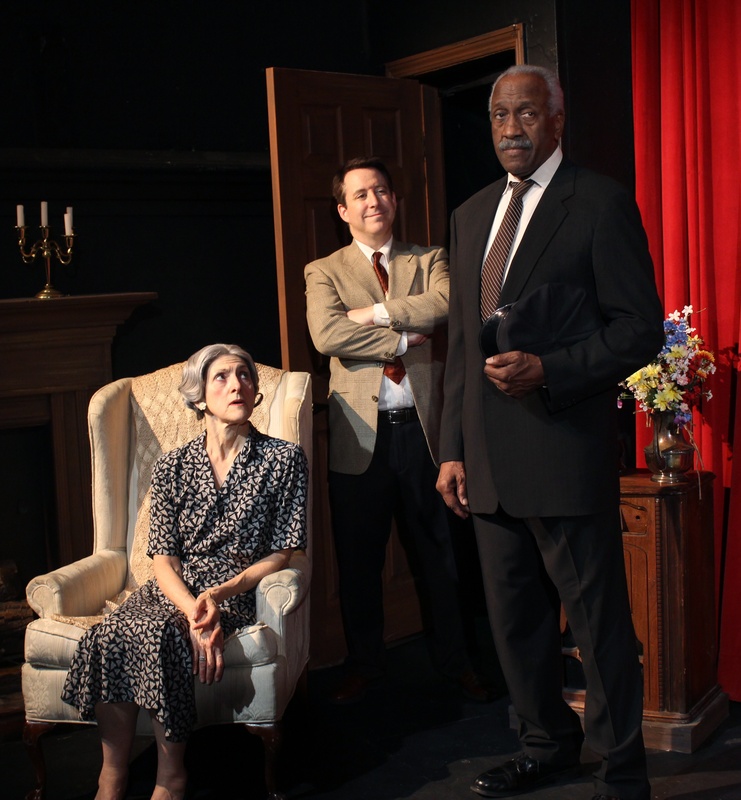 John Lee Beatty’s stunningly apt set centers the action and emphasizes that same sense of reality. Through it all come foundational discussions about the nature of goodness – whether it exists and what it may be. For those trapped in this story, where some people do exhibit (to say the least) “Poor Behavior,” this becomes a foundational argument. In the end the take-aways will be long conversations on marriage, relationship, and that essential definition – whether anything can be classified as good. And in the meantime, you will have laughed heartily at it all.